It was a paint color. To be exact, the red crackle paint used to cover the cylinder heads on the latest derivative of Gioacchino Colombo’s V12. 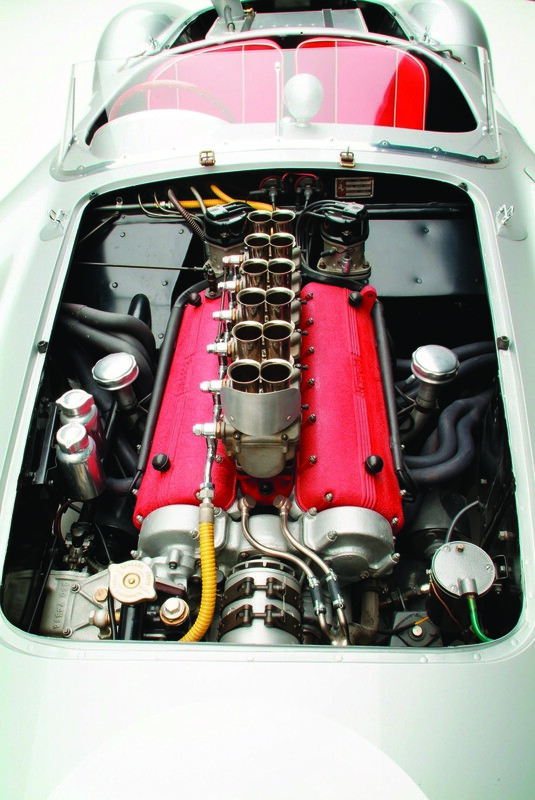 Now with a swept volume of 3,000 cubic centimeters, the engine made its debut in November 1957 under the hood of the first customer version of the 250 Testa Rossa, chassis 0710. 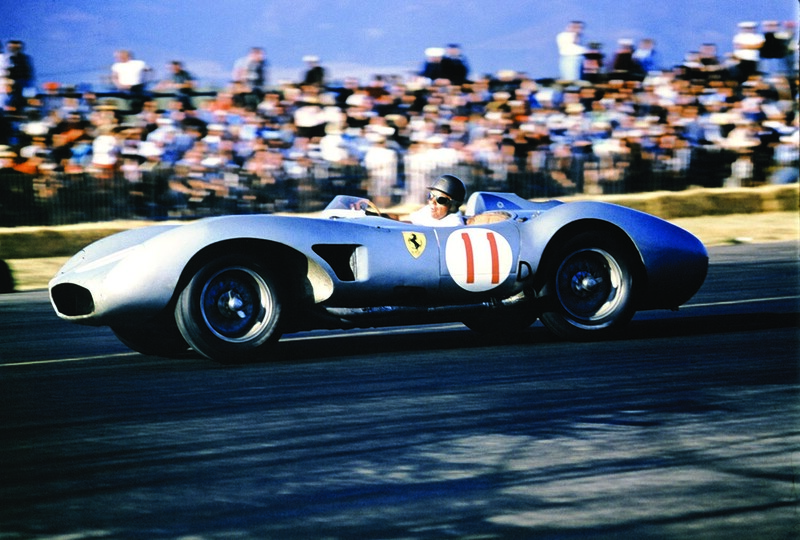 The silver Ferrari was purchased by the West Coast distributor and race driver John von Neumann, who sent the car from Italy on a circuitous trip to the 1957 Nassau Speed Week event via New York and Florida. 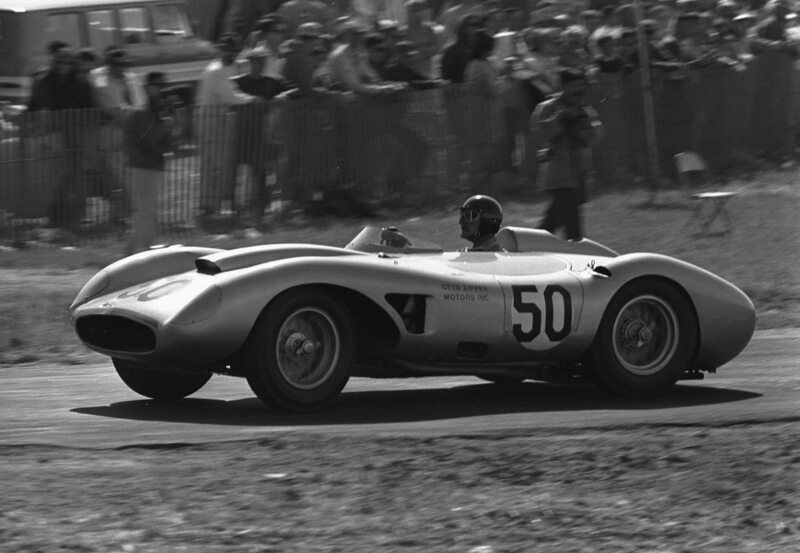 The car was driven in Nassau by Richie Ginther, but in its first outing the 250 TR failed to finish. This was to be one of the very few times a 250 TR would not finish a race or, more often, win it. The factory team would win 10 of 20 races entered between 1958 and 1961 in World Sports Car Championship events and take the checkered flag at Le Mans in 1958, 1960, and 1961! In addition to the Testa Rossa’s three wins at the Circuit de La Sarthe, privately entered 250 Testa Rossas finished fifth and sixth at Le Mans in 1958. The earliest V12 models featured distinctive coachwork by Scaglietti with bold, pontoon-style cutaway front fenders that left the massive oval grille standing alone. Later versions, like the silver example shown, chassis 0672, also once owned by John von Neumann, had the smoother fender line integrated into the grille. 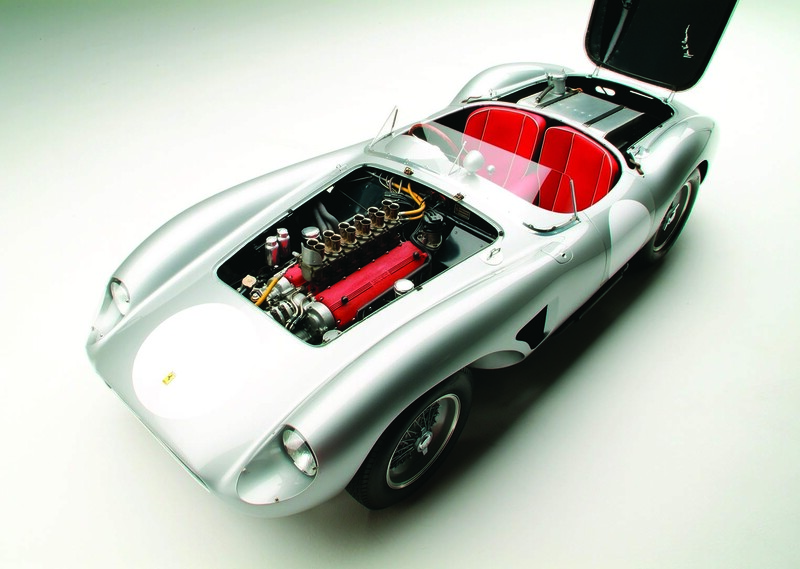 Neither 12-cylinder model, however, was the first Ferrari to bear the Testa Rossa name. The first Testa Rossas were powered by a four-cylinder Ferrari engine replete with red crackle paint which had evolved from the factory’s earlier 2-liter Mondial race cars. There were Series 1 (1954) and Series 2 Mondials (1955-1957), both with four-cylinder engines. The Mondials, unfortunately, proved no match for the new 2-liter Maseratis. The first Testa Rossas, the Tipo 500 TRC, built in 1956-57, had a swept volume of 2,000 cubic centimeters (versus 1984.8 cubic centimeters for the Mondial) and 190 horsepower, 30 more than the Series 1 and 20 more than the Series 2 Mondials. These first Testa Rossas won numerous international championship races, including the 2-liter class and second overall at Nassau in 1956, with a repeat in 1957, the 2-liter class in the 1957 Mille Miglia, the 1000km of Buenos Aires and Venezuela; and, in America, the 500 TRCs won top-place standing in class for the 1958 USAC Championship. 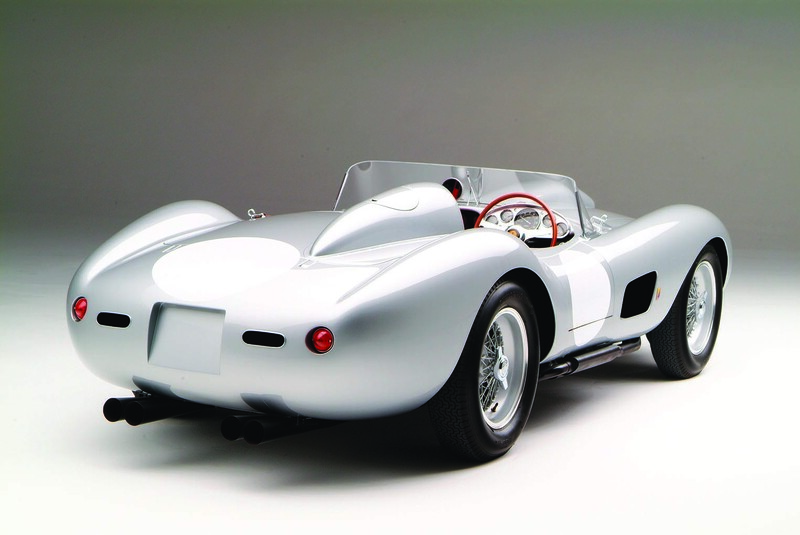 The 2-liter Testa Rossa was discontinued in 1957, when Ferrari introduced the new 3-liter 250 TR model. The 250 TR was the ideal vehicle for reviving Colombo’s seasoned V12 engine, now at 2,953 cubic centimeters, with a phalanx of six twin-choke Webers and a stirring output of 300 horsepower. Top speed, dependent upon gearing, was over 170 miles per hour. The frame for the 250 Testa Rossa was along lines similar to those of the 300 SL and Maserati Birdcage, utilizing a multi tube configuration beneath the stunning Scaglietti coachwork. 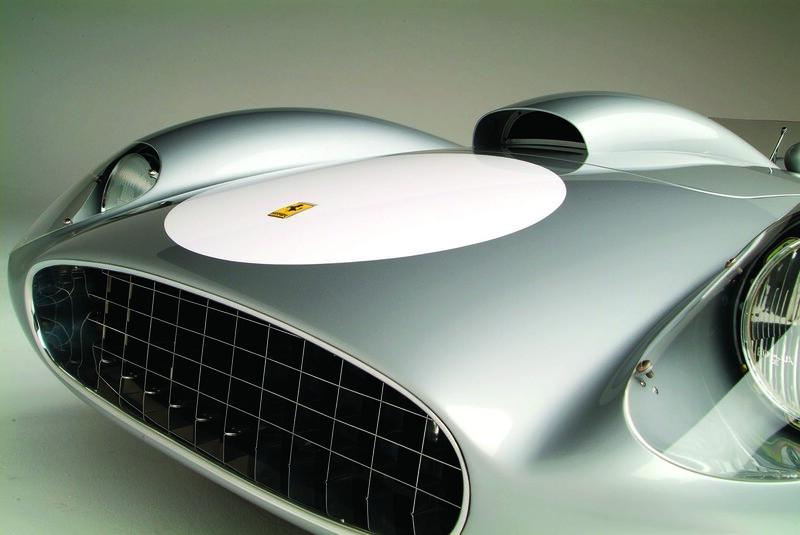 Sergio Scaglietti not only built the 250 TR but designed it as well. The Gabbia or cage (thus the Maserati’s designation Birdcage) was just that, a complete metal framework matching the contours of the outer skin, which was shaped on styling bucks and attached over the metal substructure. The Testa Rossa is regarded as one of the most visceral sports car designs of all time. As functional as they were beautiful, the massive long nose and grille were designed to draw as much air as possible to the brakes and radiator. 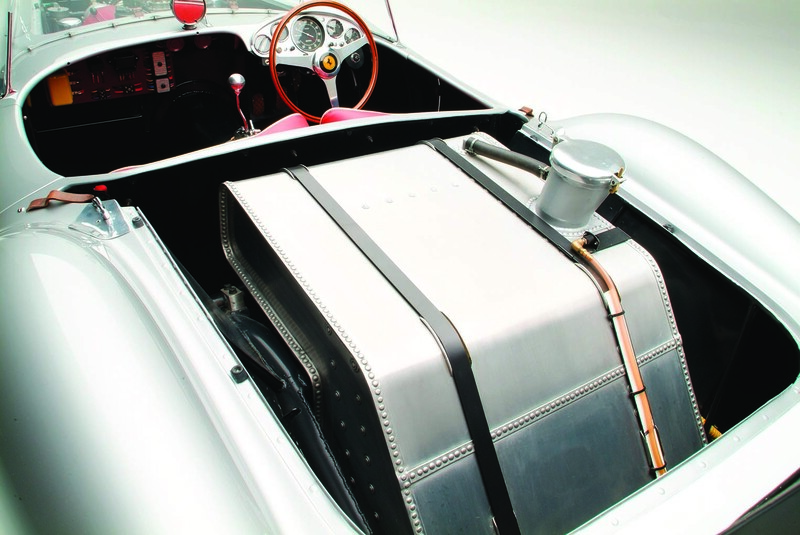 The projecting pontoon fenders housed the covered headlights giving the car its striking appearance but not offering the aerodynamic advantages of the more enveloped body design introduced with the Series 2 Testa Rossa. 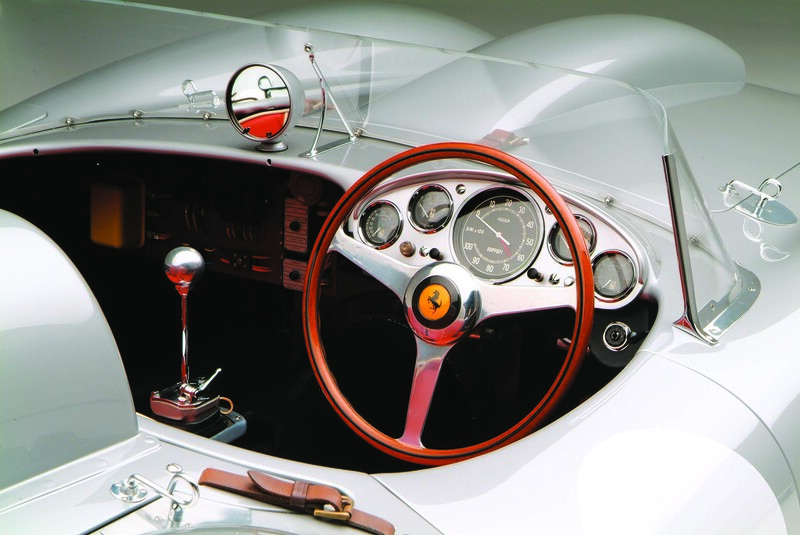 The balance of the 250 TR’s underpinnings were Ferrari’s “conventional” bill of fare — an independent front suspension utilizing coil springs, live rear axle with semi elliptical springs, drum brakes, and a four-speed all-synchromesh gearbox located up front. Nothing was strikingly new about the driveline, only the increased power and the remarkable coachwork, which had been crafted by Carrozzeria Scaglietti. That, however, was enough. The silver Series 2 car pictured, serial number 0672, is from the Bruce Meyer collection and began life as one of only two 1957 TRC 625 models. Now considered a TRC 625/250 TR, it was originally purchased by the West Coast Ferrari importer and race driver John von Neumann and campaigned in Southern California by von Neumann and Richie Ginther. John von Neumann had one of the most important distributorships in the country, Southern California, where he was the importer for both Porsche and Ferrari. About as good as it got in the 1950s and ’60s. When Ferrari introduced the 500 TRC, it was von Neumann who convinced Enzo to build two Testa Rossas with the 2.5-liter Le Mans engines, one of which was 0672. 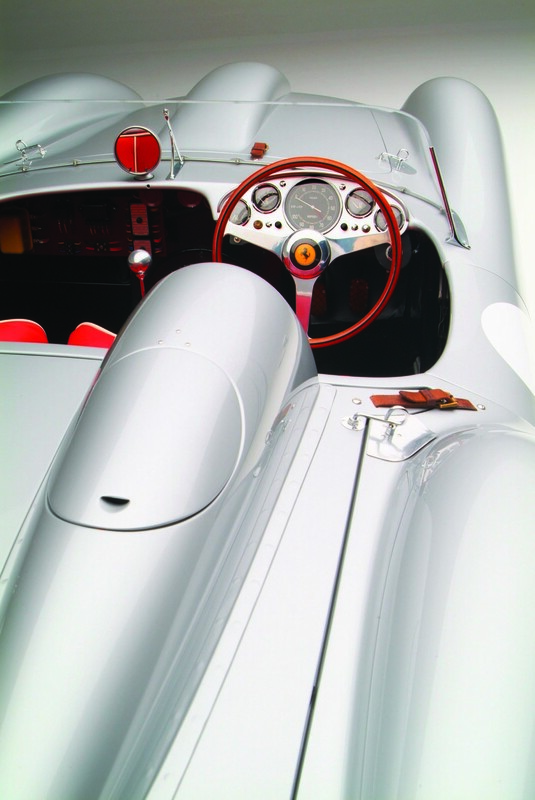 (The 625 was a four-cylinder 2.5-liter Grand Prix engine, whereas the 250 TR was the new 3.0-liter V12 evolved from the original Colombo design.) The first of the two 2.5-liter cars, it was shipped to the Auto Club of Mexico on March 24, 1956, where it remained in storage until von Neumann raced it at Avandaro in April. His first time behind the wheel of the Testa Rossa earned him a checkered flag. The car was then shipped back to Precision Motors in Los Angeles where Richie Ginter and von Neumann campaigned 0672 for the balance of the 1957 racing season. Including victories at Santa Barbara, Salt Lake City, Pomona, Sacramento, and San Diego, the Testa Rossa and its two seasoned drivers won a total of 11 races by year’s end. The following year, 0672 was refitted with the new 250 Testa Rossa engine. Unfortunately, in 1958, the stars were not aligned for the 250 TR or for Ginther and von Neumann. Ginther won only a single race in Mexico City. Two years later he blew up the engine at the Times-Mirror Grand Prix at Riverside, and in 1961 von Neumann sold 0672 to his fellow auto importer and race team owner Otto Zipper. 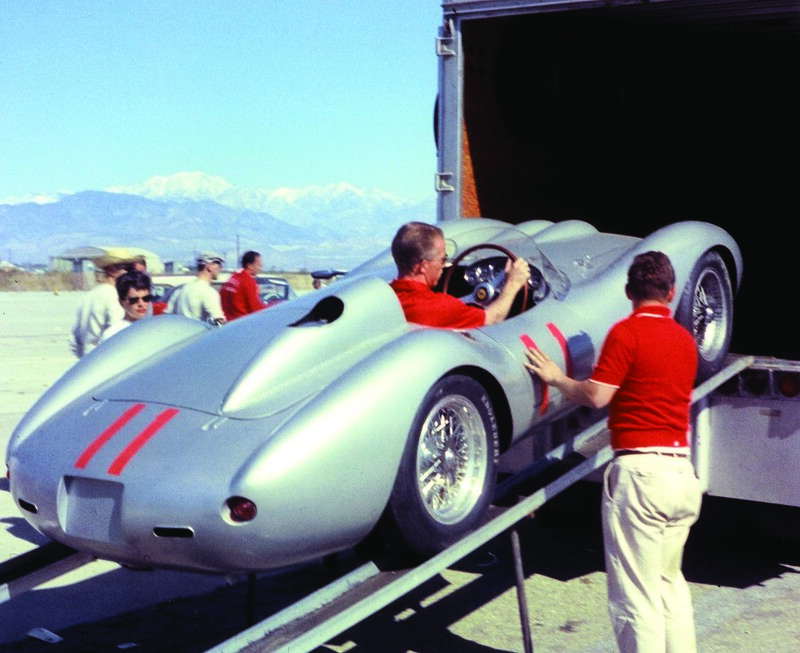 The Testa Rossa began a new life with Zipper’s team under the skilled hands of the legendary Ken Miles. The car’s first outing for Otto Zipper’s racing team was at Santa Barbara in May 1962, where Miles handily won the event. Later in the year, Miles blew up the engine at Pomona, and Zipper decided to retire the six-year-old race car. By then John von Neumann had retired as well, not only from racing but from his import business, after selling his Southern California region dealership to Volkswagen AG, and becoming a very wealthy man. As for 0762, it has been flawlessly restored and has a very nice home in Bruce Meyer’s garage. © Car Collector Magazine, LLC. If you have an exotic or another collectible you’d like to insure with us, let us show you how we are more than just another collector vehicle insurance company. We want to protect your passion! Click below for an online quote, or give us a call at 800.678.5173.